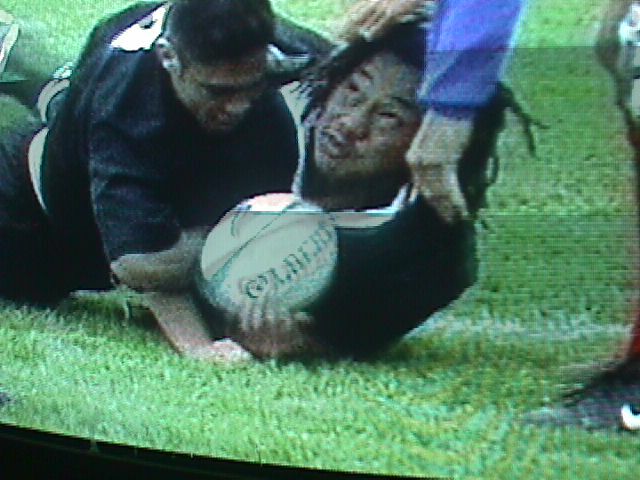 SC IMAGES: "Oooh Aaah Umaga"
The last international rugby test to be held at Wellington's Athletic Park today proved a memorable one for local heroes Tana Umaga and Christian Cullen who scored three tries and two respectively. 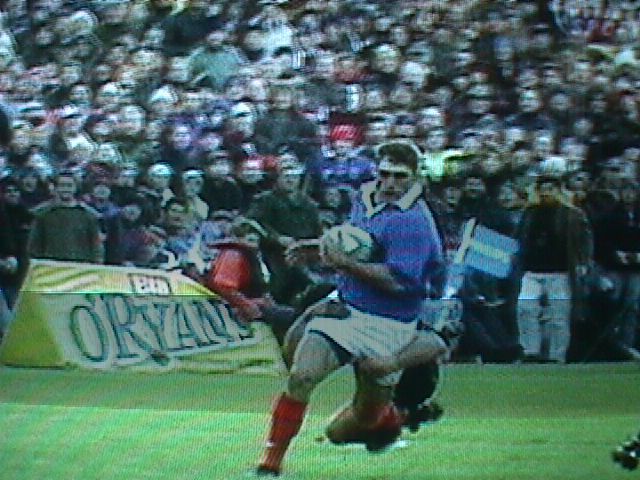 The touring French side was thoroughly outclassed by the All Blacks who beat France by the all-time record scoreline of 54-7. 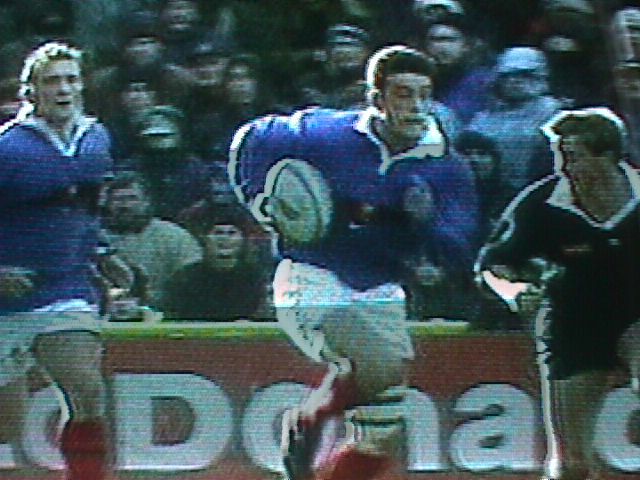 The All Blacks scored seven tries to France's one, and Andrew Mehrtens kicked a brace of penalties and conversions in spite of a 76kmh howling southerly. 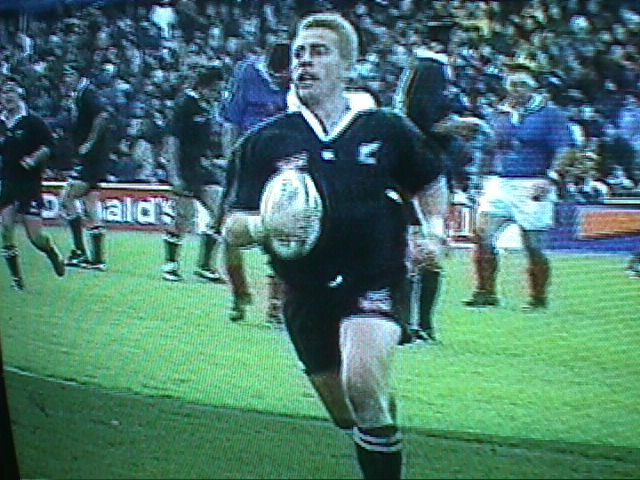 Justin Marshall was the final try scorer in the All Blacks picking up two. In recent years the record between New Zealand and France has been far from one-sided with the French winning three of the last four tests. 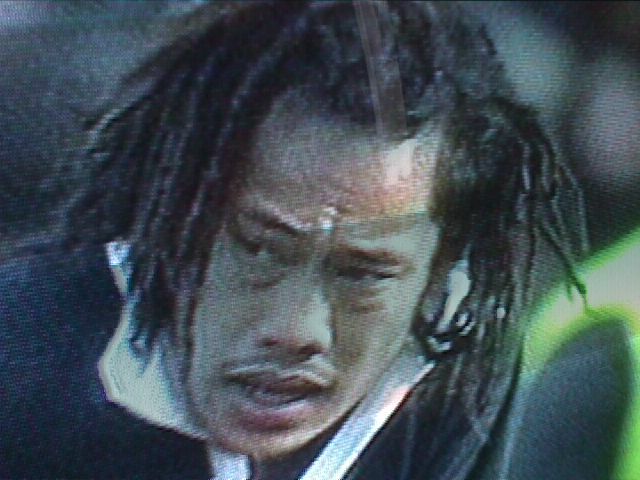 While there were several outstanding performances from All Blacks in the match, honours today undisputably belong to Tana Umaga.